With schools under construction in Liberal, new schools are expected to be ready in coming months. JE Dunn workers will lay down the new gym floor this week for Seymore Rogers Middle School in south Liberal. That school should have a punch list for completion by early spring. Meadowlark at 11th and Calvert behind Dillon’s is on schedule. MacArthur in north Liberal is eight days behind schedule due to a few issues with steel work. But the schools are expected to be ready this summer well ahead of the school year. 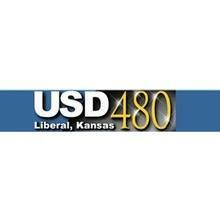 The USD 480 board met Monday night and purchased a new route bus from Thomas Built for $109,430.00. The district expects to receive the bus in the spring. The board also purchased scissor lifts for the maintenance department from United Rental for $44,563.00. There will be one for Eisenhower and one for Prairie View. This will allow maintenance to clean upper windows and replace lights in those two new schools. The board’s next scheduled meeting is after Christmas.